Really? Is this true? Note the language in the quote: herbs, acupuncture, other ‘complementary’ treatments. Not all treatments are equal. Not all treatments are even treatments. Headlines like this one in the NYT, derived from published papers from JAMA, have the potential to mislead, misinform, and confuse the general public—and particularly those of us who are cancer patients, survivors, or patient advocates. So important is phraseology in the titles of medical papers, and resulting media articles, that I want to clarify some terms, and stress the definitions of certain terms before going any further. Alternative Cancer Treatment includes a wide array of mostly unproven approaches that can be unsafe. There is little science to support the use of most alternative cancer treatments as an effective and ‘curative’ anticancer treatment when used in lieu of conventional standard of care. Complementary Alternative Medicine is an outdated term describing the combination of supportive, evidence-based or evidence-informed integrative approaches, along with alternative cancer treatments, complementary evidence-based or evidence-informed approaches such as acupuncture, massage, dietary supplements, and diet (food upgrades), and standard of care. The paper involved investigators looking, retrospectively, at a large set of observational data, then selecting a miniscule number of patient ‘records’ for said patients who reportedly utilized conventional and unconventional approaches at different points during their cancer journey. But here’s the rub: The authors investigated data from a subset of patients who received some conventional cancer treatment such as surgery, but later went on to refuse additional recommended treatment such as radiation therapy, chemotherapy, and targeted therapies including hormonal therapies. 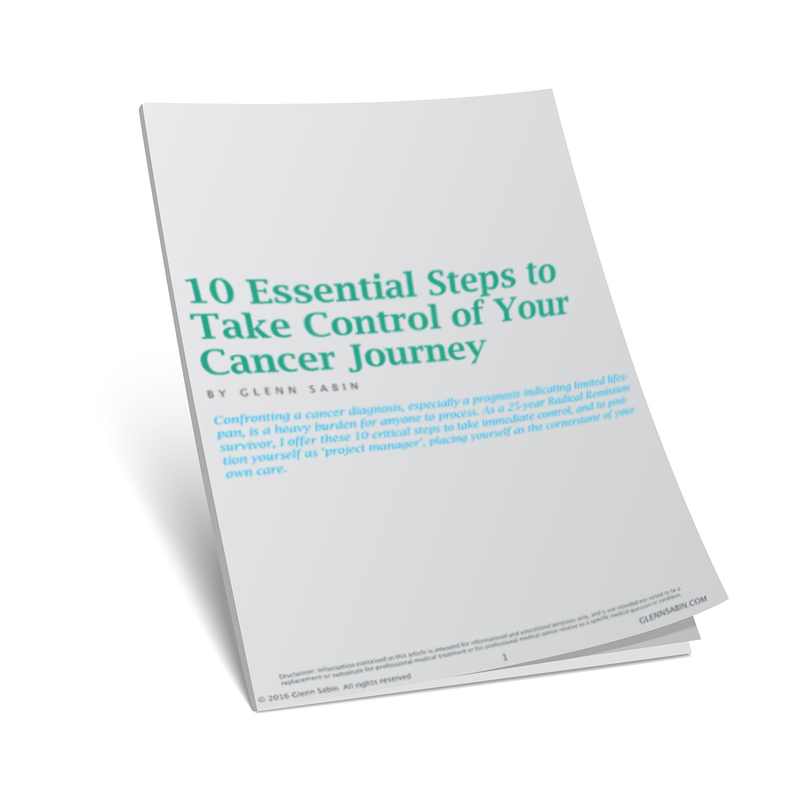 By refusing the complete prescribed regimen for the ‘curable’ cancer they were hosting, the disease progressed and ultimately adversely affected overall survival time. By using the term ‘complementary medicine’ in the paper’s title, the researchers essentially sowed confusion in the media and, as a consequence, to consumers at large. The tiny group of cancer patients reviewed in this data-mining study started with conventional standard of care treatment and then shifted to alternative medicine, under the false premise that drastic diet changes, physical activity, or any number of myriad interventions or products/agents alone or combined, would be enough to totally rid them of disease. To be clear—the JAMA Oncology paper was not about integrative oncology. It was about alternative cancer care approaches that followed an ‘incomplete’ conventional cancer care protocol. This same large data-set was used to inform the same Yale researchers’ earlier paper published in JCNI: “Use of Alternative Medicine for Cancer and Its Impact on Survival”. This article triggered my post which, let’s say, caused quite a stir: When Alternative Cancer Care Kills. The data set comprised 1,901,557 patients—the cohort of cancer patients from the USA National Cancer Database—treated for early-stage breast, prostate, lung or colorectal malignancies between 2004 and 2013. The investigators looked at the records of 258 patients who used some form of ‘complementary’ or ‘alternative’ medicine at some point in their medical treatment journey, along with a comparison group of 1,032 patients who underwent only conventional treatment. However, focusing on only 258 patients—a miniscule fraction of the data set—and considering that over 50 percent of cancer patients are estimated to utilize integrative approaches during their cancer journeys, this sampling size alone may be enough to dismiss the credibility of the report. i.e. there should have been vastly more than 258 patients’ information available. For an expansive overview of the integrative oncology community’s reaction to the current Yale paper, including the study’s perceived flaws, I point you to my friend and colleague John Weeks’ recent posts on this subject. Ultimately, health freedom gives us the right to choose or refuse any or all cancer treatments, regardless of prognosis. Sometimes standard of care cancer treatment can hasten death. Some folks would prefer not to deal with the deleterious side effects from conventional treatments; they would rather live their last days squeezing out every last bit of quality of life. On average, pernicious diagnoses, such as glioblastoma multiforme and pancreatic cancer—where overall survival using conventional standard of care approaches—still produce dismal outcomes. Some patients may opt out of treatment completely. Others may go the route of clinical trials. And some may opt for alternative cancer treatment. There is no absolute right or wrong approach. We do what we feel is best for our particular situation. When it comes to cancer and scientific inquiry, it is critical to understand study design, data, and language, because consumers ‘downstream’ ultimately depend on medical journals like JAMA Oncology to get it right. The general media has a responsibility to dig more deeply, because even in a time of so-called fake news, the news outlets we trust (to understand and accurately transmit research findings) still wield incredible influence on health matters. Quality medical journals engage eminently qualified peer-reviewers to help correct and guide author submissions. They are gatekeepers to help ensure accuracy and proper context. And once these scientific articles are published, barring major flaws, few are ever retracted. Unfortunately, even when retractions are made, rarely does the consumer media go back to correct their stories. In fairness to JAMA Oncology and the authors, I personally do not feel this paper should be retracted, but I do feel that clarification is warranted, because context matters. As I was putting this article to bed, a Reuters Health arrived in my inbox: “Cancer patients using alternative medicine may skip some standard care”. Even though the term ‘complementary’, as quoted by the lead Yale study author Dr. James Yu, conflicted with the term ‘alternative’ medicine in the headline, Reuters Health did a commendable job in getting comments from some of my integrative oncology colleagues, including: Dr. Jun Mao, chief of integrative medicine service at Sloan Kettering Cancer Center; Dr. Moshe Frenkel, founder of MD Anderson Cancer Center’s integrative medicine program. Drs. Mao and Frenkel did a good job bringing clarity to the differences between the often extreme alternative medicine interventions in contrast to an integrative oncology approach that augments conventional cancer care. Sadly, not every media outlet approaches their responsibility of getting it right the way Reuters Health did in this case. When the general media is quick to pick up stories like this and run with them, consumers are confused. Physicians, including conventionally-trained oncologists who are best positioned to support overall patient care, too often wrongly advise against integrative oncology approaches based on a combination of a lack of knowledge (their own), and confounded context like this latest paper in JAMA Oncology. Cancer patients, survivors, caregivers, and medical professionals deserve better. Can Integrative Oncology Extend Survivorship?